The Sapien 3 transcatheter heart valve was developed by Edwards LifeSciences. The Sapien valve is a collapsible aortic heart valve that is placed in a patient’s heart using a catheter-based delivery method. The Sapien 3 is designed to replace a patient’s damaged aortic valve in a less invasive procedure than tradition open heart surgery. 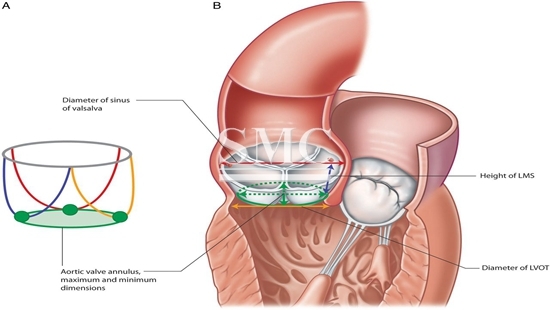 The valve can be implanted in a patient using a catheter method using the femoral artery or a transapical technique. The transapical technique involves a small incision between the patient’s ribs. The Sapien 3 transcatheter heart valve is a clinically proven way to treat systematic heart disease due to chronic aortic stenosis. Aortic stenosis is caused by various influencing factors such as age, smoking, high blood pressure, and high cholesterol. The symptoms of heart disease include chest pain, shortness of breath, fatigue, and more. The Sapien transcatheter heart valve was innovated in 2009 as a less invasive way to replace a patient’s diseased aortic valve without the risk and damage of open heart surgery. Since the invention of the Sapien Edwards LifeSciences has been working to improve the technology and effectiveness while reducing the risks associated with aortic replacement. The Sapien 3 reduces the risk of death by 75% when compared to traditional open heart surgery. The placement of the Sapien 3 is 99% accurate on the first attempt. Edwards LifeSciences produce a complete range of valve sizes from 20mm to 29mm, ensuring a good fit for all of the Sapien 3 patients. While the Sapien 3 is not safe for everyone, it is a large advancement in the realm of medical innovations. The Sapien 3 transcatheter heart valve was designed around the proven benefits of the Sapien valve family. The Sapien 3 has an enhanced frame geometry for ultra-low delivery profile. It also has a high radical strength for circularity and optimal hemodynamics. The frame is composed of a stainless steel alloy for lasting strength. The Sapien 3 has a low frame height to better fit the cardiac anatomy. The transcatheter is constructed using bovine pericardial tissue in a leaflet shape to optimize hemodynamics and durability of the device. It also uses Carpentier-Edwards exclusive ThermaFix technology developed to reduce calcium build up on the device. The Sapien 3 utilizes new technology and a new design to make it more effective and useful than ever.